Archer & Armstrong #11 is [Redacted]! Archer Versus Everyone in Archer & Armstrong #9! Archer & Armstrong #0 - The Top Secret Story of History's First Epic Fail! 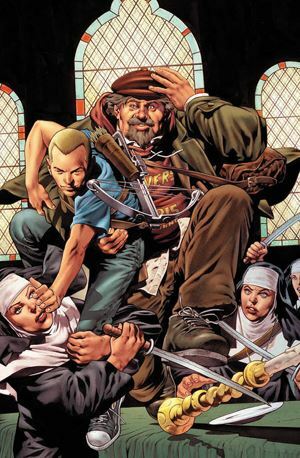 In 1992, cartoonist Barry Windsor-Smith told the story of a young Buddhist monk from the United States who joined an immortal wino across the world on various treasure hunts and escapes from the wretched sect. Archer was young, gullible and polite. Armstrong was head-strong, super strong, and a modern-day Dionysus. When Valiant Entertainment rebooted Archer and Armstrong in 2012. I called it a modern-day version of Tintin and Captain Haddock. I’ve decided to look closer into my initial comparison. 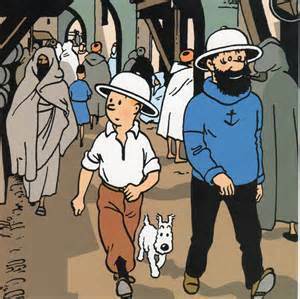 Tintin, created by Belgian cartoonist Hergé in 1929 was a young red-hair reporter who travelled the world, foiling criminal and political plots in the best hot spots of the world. He visited the Soviets, Chicago, Inca temples, the seven seas and had a couple colonial adventures in the Congo. A few episodes later, he was joined by Captain Haddock, a great friend who was captain in the merchant marine, and a man who enjoyed alcohol, a good brawl, and a good rant with colourful curses. Although Haddock was always a supporting character, he quickly found a place in many of Tintin’s latter adventures as his perennial older sidekick. Armstrong is not Archer’s sidekick, but of the two, he is less the star of the comic. What Haddock and Armstrong share in common are a passion for alcohol and the good life. But there are other similar patterns between the characters. Captain Haddock is not an immortal, but his family tree and illustrious ancestors feature prominently in many of his stories. In fact, he owes his fortune to his legacy. In the comics portraying Haddock’s ancestors, they always look like him. In a way, Captain Haddock is a reincarnation of his ancestors. Thus one can argue that indeed Haddock is immortal. The other resemblance between Armstrong and Captain Haddock is the role of their heirloom and treasure hunts play in stories featuring them prominently. Captain Haddock owns a replica of his ancestor’s boat, which contained secret information about his fortune. Armstrong carries a satchel that he takes with him everywhere. The satchel contains many props and invaluable treasures that make villains pursue him. But the most common trait between Haddock and Armstrong are their feisty personalities and propensity for curses and colourful language. Archer and Tintin are both more polite and more erudite than their partners. Remarkably each has a smaller build than their buddy and seem in a better physical shape. 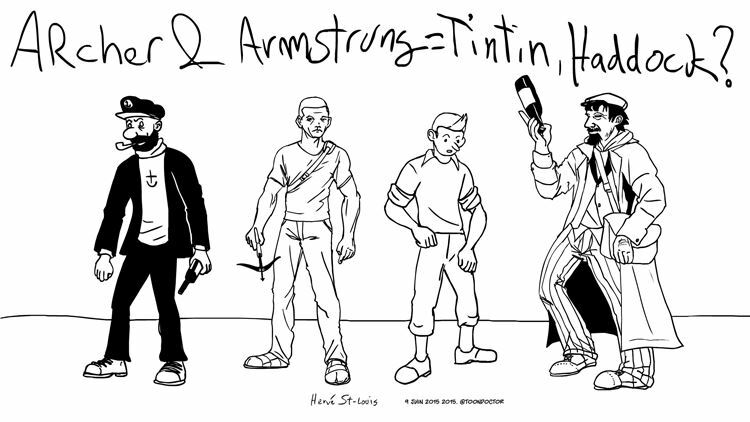 While Tintin can throw a good punch, he isn’t a super hero type, like Archer. But each has a keen mind and a lot of youthful enthusiasm. Of the two, Tintin is probably the more inquisitive. However, for both Archer and Tintin, adventure is their middle name. What makes Archer and Tintin more similar is their relationship and dynamic with their older friend and mentor. Each plays the straight man to the incorrigible booze maniac. They are level-headed and the main protagonists of the stories each are featured in. I do not know if the original Valiant team purposely tried to recreate Tintin and Captain Haddock with Archer and Armstrong. They added a super hero, and science fiction angle to both versions of the comics. But each pair are world globetrotters uses the popular buddies’ trope to carry its adventure forward. I would argue that Archer and Armstrong have the most durable buddies feature since nuanced characterization was not part of Hergé’s main diet for Tintin and Haddock. Any resemblances is probably fortuitous but a good concept is a good concept!